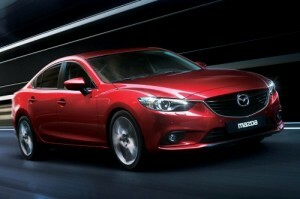 How much car can you get for a monthly payment of under $300? You might be surprised at the variety of great new near-luxury coupes and sedans that are available for this reasonable monthly outlay. Driving in style and luxury never looked so good. 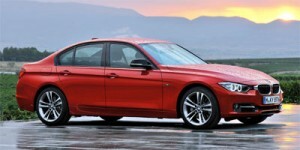 2013 BMW 3-Series – Good through the end of July, lease the BMW 3-Series for 36 months at $299/month with $3,774 to be paid at signing. This lease deal is for the base 328i with Premium package. Annual mileage allowance is 10,000 miles. As an entry-level luxury car, the 3-Series virtually runs away from the pack, thanks to its impressive fuel economy, unrivaled handling and roomy back seat. It’s also a BMW, meaning prestige and proven reliability. 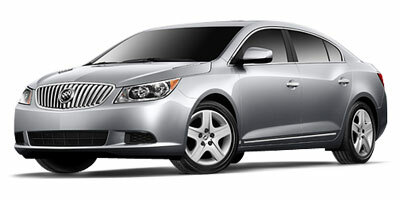 2013 Buick LaCrosse – The midsize 2013 Buick LaCrosse seats five, features a quiet, roomy and well-built cabin. A monthly payment of $239 on a 36-month lease and $2,009 due at signing may be just right for your family. This lease deal applies to the base LaCrosse with eAssist, which also includes OnStar Directions & Connections and SiriusXM radio and two years or 24,000 miles of free vehicle maintenance. 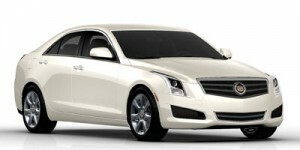 2013 Cadillac ATS – The compact luxury 2013 Cadillac ATS sedan is offering a 36-month lease at $299/month with $2,779 due at signing. An all-new model, the ATS has great handling, ample power, strong brakes, comfortable ride and a long list of standard features that includes Bluetooth, dual USB ports and a Bose stereo. While it seats five, the second-row seats may be cramped for most adults. 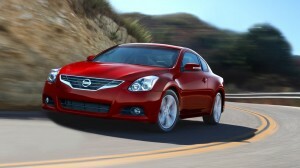 2013 Nissan Altima Coupe – The Altima 2.5 S coupe is available with a 39-month lease at $249 per month and $2,999 due at signing in all regions. Completely redesigned for 2013, the Altima’s strengths include the high-quality materials, comfortable seats, roomy cabin and trunk. Of course, the sporty identity is a strong point as well, especially how the Altima coupe nimbly handles the road. Fuel economy is also a plus. Need more convincing? Three of these five vehicles are Top Safety Picks from the Insurance Institute for Highway Safety (IIHS): the BMW 3-Series, Buick LaCrosse, and Mazda Mazda6. In government crash testing by the National Highway Traffic Safety Administration (NHTSA), the BMW 3-Series, Buick LaCrosse and Cadillac ATS received a five-star overall rating, with the ATS receiving five stars in all crash test categories. The Nissan Altima Coupe received a five-star rollover rating (not rated in other categories), while the 2014 Mazda Mazda6 has not yet been rated by the NHTSA. One final note: Be sure to thoroughly check out all lease terms, including annual mileage limitations, to make sure that leasing is the right choice for your vehicle needs.